One of the keys to multivalent use of magic in a novel is the author’s refusal to characterize the supernatural with language that removes the reader from their reality: once you begin fitting magic into bureaucratic boxes of technical terminology, the narrative founders. Providing a spell book of rules about your world and a precise description of how incantations or magic works in your world is a sure way to focus the reader on acts of specific import, rather than turning the reader’s attention to character growth and motivation. If you use magic in fiction, the first thing you have to do is put barriers up. There must be limits to magic. If you can snap your fingers and make anything happen, where’s the fun in that?…The story really starts when you put limits on magic. Where fantasy gets a bad name is when anything can happen because a wizard snaps his fingers. Magic has to come with a cost, probably a much bigger cost than when things are done by what is usually called “the hard way”. Characters cannot be invulnerable, all-powerful beings like Superman, or else it will be impossible for readers to identify with them or to find a way into the story itself. The supernatural can never be a “get out of jail free” card. Grounding magic in reality means that the powerful characters that we’ve used as our focus must actually suffer and find themselves challenged by the effects of the supernatural. 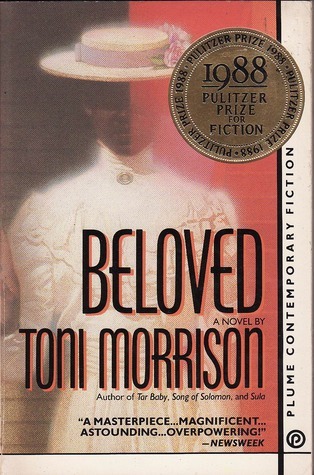 One interesting example of the use of the supernatural in this manner can be seen in Toni Morrison’s novel Beloved. The critical elements here that provide supernatural indications that this “woman” is not of our world are coupled with the “cost” to her in terms of physical expression: her lungs hurt, her eyeballs have an unusual weight, and she has new skin. Finally, she has just “crossed a desert.” All of these narrative choices communicate to the reader that this woman is experiencing reality in a different way than the other characters and that her arrival here has a palpable cost to her physical experience. Of course, after you’ve read the book once, you recognize the metaphors of birthing and of new life in the world. However, at first read, these hints give her suffering in our reality a radically different angle, an unusual and poetic perspective. The hints reverberate and accumulate over time until the weight of what they might mean is inescapable. As Morrison demonstrates, fantastical occurrences are more powerful if they are described with very literal grounded language at first and then hinted at and illuminated by metaphor until the possibility of it, and then the reality of it, becomes something heavy and inescapable in the reader’s mind—an overwhelming radical change that is referenced only glancingly by the other characters, but gradually insists on its own reality, much as the character of Beloved gradually insists on her reality in the lives of the characters in Morrison’s work. Metaphor and oblique references are critical tools to invoke an alternate story, or to hint at a story that can’t be told overtly. It is also necessary to show how other characters are gradually informed of Beloved’s secret reality. Withholding the actual story from readers, and allowing it to come out gradually as a narrator or protagonist tells it to other people, is a technique worth exploring. Morrison does this adroitly. For example, it is absolutely lovely to see how she has her characters interact with Beloved. They field seemingly innocuous questions and discussion, and then Morrison allows the realization of the import of those questions to land later, at the end of the discussion, so that the true meaning of that conversation reverberates backwards through the story. Here is one instance of this technique: “Now she noticed something more. The questions Beloved asked: ‘Where are your diamonds?’ ‘Your woman she never fix up your hair?’ And most perplexing: Tell me your earrings. How did she know?” (Morrison 63). Beloved herself has knowledge ungained from the other characters. This fact is clear. But the cold realization of something unnatural only hits the rest of the characters after the reader has already realized something is strange about this woman’s knowledge. Again, in this scene, Morrison does not make the backstory of Beloved into something unreal or ghostly, but grounds her experiences in realistically described moments that the other characters can actually sense and feel and see. Her character’s tooth removal is described only with sensory input, making it feel ultra-realistic. She has laid necessary groundwork here for believability; therefore, when her character later ponders her own unreality, and the difficulty of living as a “ghost” in the human world, the reader can suspend disbelief and travel with her narrative, because the previous moments were firmly grounded. Instead of being caught in abstractions, the reader starts from an anchor point that is firmly grounded in the everyday world. What Morrison does so amazingly well is to make the supernatural suffering a present reality to the characters, and thus, to the readers. The realistically described experiences of Beloved thus bring the realization of the backstory (or alternate story) home to readers with a powerful punch. Much later in the book, after all of these hints and experiences have slowly collected like drops wearing down the disbelief of her other characters, Morrison finally brings a waterfall of realization. This is the moment that Morrison brings out the main pivotal moment in the backstory. She adroitly weaves together remembered backstory and present descriptions in order to bring the reader into the narrative. Here is how Morrison brings the truth home. First, the “sweet conviction” in Beloved’s eyes causes doubt: her eyes seem to have the power to“almost [make] him wonder if it had happened at all, eighteen years ago, that while he and Baby Suggs were looking the wrong way, a pretty little slavegirl had recognized a hat, and split to the woodshed to kill her children” (Morrison 158). The building momentum of these lines leading to the final powerful act of “killing her children” feels believable to readers because it is so grounded in the present reality of Beloved’s physical presence and the details of his memory. Because of her consistent buildup of this story, the description lands with a satisfying wallop of pain. In Morrison’s techniques of metaphorical description, backstory hints, and visceral experience of “magic,” here are excellent tools that can be used by any writer who is describing the supernatural. In this passage, Powers has taken an idea that could have been spelled out with a great deal of magical terminology, and instead of spelling out the specific functions of the physics of the “magic” or the “supernatural” effects at play, he has instead merely told us the effect of these things on his main character. Again, magic has a visceral cost to the characters. Powers transmutes a powerful supernatural event into suffering, pain, “clawing,” “pulse roaring” reality experienced by his characters. This technique—employed by bothMorrison and by Powers—is used in the service of creating a multivalent story, rather than simply a plot with characters as cardboard chess pieces.